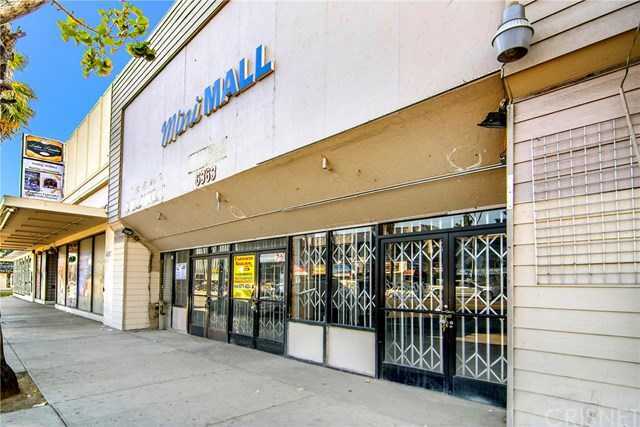 Amazing rare opportunity to purchase this completely vacant nearly 4,800 sq. ft. prime retail building amongst all the busy shops on Van Nuys Blvd. Build-out this vast space to suit your specific needs. Ample easy customer parking on Van Nuys Blvd. plus, behind the structure on Friar St. is an ultra-convenient large city parking lot. Subject property affords four rear parking spaces and an upper level mezzanine offering superb storage ability……Don’t Miss! Tax records have as 6361 Van Nuys Blvd., however address on building is 6363. This property is in a designated Opportunity Zone designed to spur economic development by providing tax benefits to investors. First, investors can defer tax on any prior gains invested in a Qualified Opportunity Fund (QOF) until the earlier of the date on which the investment in a QOF is sold or exchanged, or December 31, 2026. If the QOF investment is held for longer than 5 years, there is a 10% exclusion of the deferred gain. If held for more than 7 years, the 10% becomes 15%. Second, if the investor holds the investment in the Opportunity Fund for at least ten years, the investor is eligible for an increase in basis of the QOF investment equal to its fair market value on the date that the QOF investment is sold or exchanged. Seek the advice of your tax professional.